Candice Malcolm is the author of the Amazon (economic) bestseller, “Generation Screwed”. In this book, and in her keynote presentation of the same title, she explains with clear, vibrant candour just what the millennial generation can expect in the future, a 3D future no less: Debt, bad Demographics, and Dependency. She has just released (Spring 2016) “Losing True North”, her latest book on Canadian Immigration Policy, and is also now a columnist for the Toronto Sun. Federal Debt is in excess of 600 billion; Provincial cumulative debt is also in excess of 600 billion. That’s 1.2 trillion dollars; which means in Canada, it’s $34,000.00 for every man, woman and child. And this does not include unfunded liabilities! In more recent months, Candice has been writing about and reporting the immigration crisis on the U.S. / Canadian border, and the adverse effect that unfettered, open border immigration is having on Canada’s support systems. Candice Malcolm is a best-selling author and an internationally recognized speaker who takes a creative and entertaining approach to identifying and solving some of the greatest political and economic challenges of our time. Candice is an International Fellow with the Center for a Secure Free Society, a DC-based think tank focused on the nexus of defence, security, and economic freedom. Candice studies issues relating to the international political economy, particularly trade and immigration, as well as spearheading an initiative exploring the future of North America. She is also a Fellow at the Canadian Defence and Foreign Affairs Institute and a weekly columnist for the Toronto Sun. 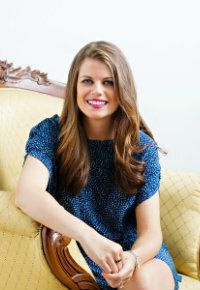 Candice is the author of Generation Screwed, an Amazon best-selling book in the category of economics. The book blows the whistle on the long-term effects of public debt and unfunded liabilities, while calling for greater intergenerational equity in Canadian public finances. She has spoken at events from coast to coast and presented to students from dozens of Canadian universities on the topic. Candice completed a fellowship in Washington, DC with the Atlas Economic Research Foundation and the Institute for Humane Studies at George Mason University. She has been a strategist and advisor to the Wildrose Party in Alberta, press secretary to the Minister of Citizenship and Immigration in Ottawa, and the director of research at Sun News, part of Canada’s largest media outlet. Most recently, Candice served as the Ontario director for the Canadian Taxpayers Federation, where she was the chief policy architect and spokesperson for the CTF in Ontario. In this role, she authored several policy papers and reports, appeared frequently on radio and television programs across Canada, and testified multiple times before the Ontario government’s Standing Committee on Finance and Economic Affairs. Candice has a Bachelor of Arts in Political Science from the University of Alberta, a Master’s in International Relations, and a Master’s in International Trade and Commerce Law from Macquarie University in Sydney, Australia. Born and raised in Vancouver, British Columbia, Candice is a ninth generation Canadian and loves to travel; she has visited over 70 countries and sovereign states. Candice now splits her time between Toronto and San Francisco, where she lives with her husband Kasra. In Canada, paying for our government requires robbing Peter to pay Paul. But what happens when Peter retires? This question is examined by author Candice Malcolm in Generation Screwed – a keynote presentation based on her book about the social and public policy challenges facing Millennials (a.k.a. Generation Screwed), written by a Millennial. The arguments made in Generation Screwed are based on mathematics, not ideology; and while the book’s target audience can be younger Canadians, all Canadians should be aware of the coming tsunami that will hit our government budgets as baby boomers retire, and this will affect us all. This Keynote Speech focuses on the three key features of Generation Screwed: debt, demographics and dependency.